SYDNEY, AUSTRALIA - FEBRUARY 02, 2014: Oosterdam cruise ship passes the Opera House and leaves Sydney after day stop at Circular Quay. hd00:12SYDNEY, AUSTRALIA - FEBRUARY 02, 2014: Sydney ferry passes opera house. The Opera House opened in October 1973 and was designed by Jorn Utzon. 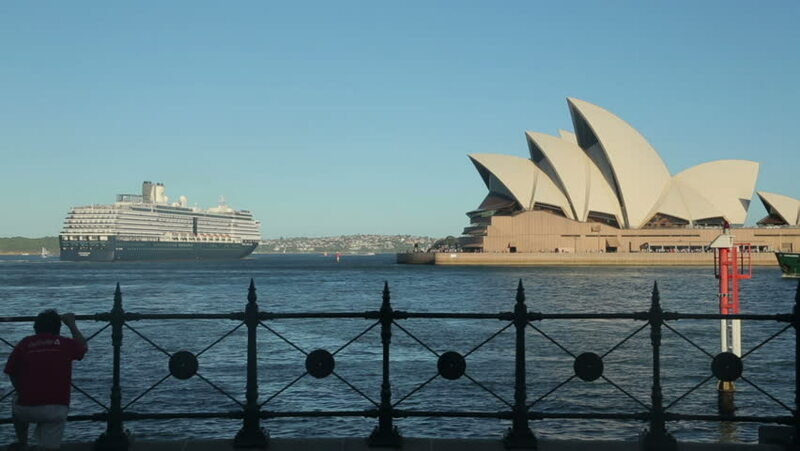 hd00:21SYDNEY, AUSTRALIA - FEBRUARY 03, 2014: Slow tracking shot of Sydney Opera House. The Opera House opened in October 1973 and was designed by Jorn Utzon. hd01:20SYDNEY, AUSTRALIA - CIRCA 2010: The Opera house circa 2010 in Sydney, Australia.